Sometimes you just need a pickup truck to do the job right, and of course, you want the best fuel efficient trucks possible. When considering the fuel efficiency, however, you also need to keep in mind how you’ll use the truck. The bigger the payload, the larger size pickup truck engine displacement you’ll require. That cuts down on fuel economy. If only light loads are necessary, go for the more economical models in these best fuel efficient trucks. Note that fuel economy numbers listed here come from the Environmental Protection Agency (EPA). Two categories of best fuel efficient trucks, using EPA classification, are small and standard pickups, all in two-wheel drive (2WD). 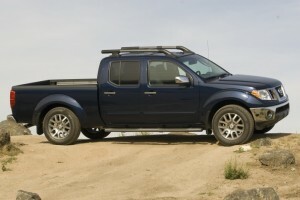 Suzuki Equator 2WD – The 5-passenger compact 2011 Suzuki Equator 2WD Extended Cab only achieves an EPA-estimated 19 mpg city/23 mpg highway (with 2.5-liter 4-cylinder engine and 5-speed manual transmission). With automatic, those numbers are 17 mpg city/22 mpg highway. Suzuki Equator is mechanically similar to the Nissan Frontier, with only minor cosmetic changes – but Equator carries a much longer warranty. GMC Sierra 1500 Hybrid 2WD – More expensive sibling to the Chevy Silverado, the 2011 GMC Sierra 1500 Hybrid 2WD has the same EPA-estimated 20 mpg city/23 mpg highway fuel economy.